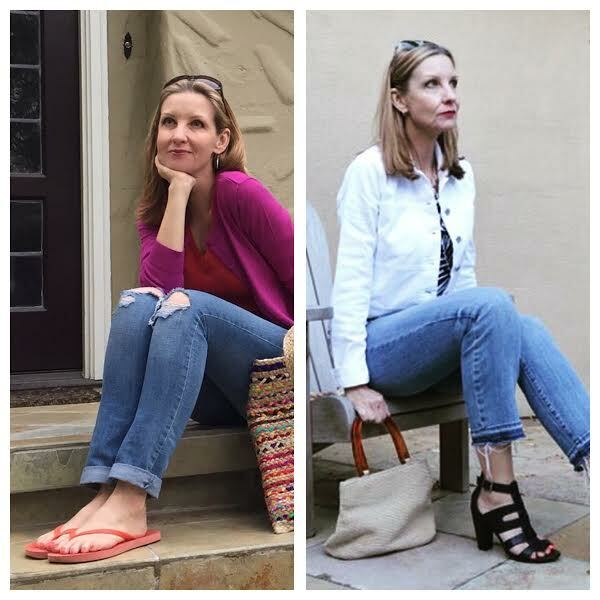 Have you checked out Katherine’s Corner’s new series on bloggers over 50? Since I’m very close to being 50, Katherine let me slip under the wire and is including me in her post today! It’s a great way to get introduced to new middle-aged bloggers who blog about all sorts of subjects. Katherine asked us how we felt about blogging at this age. For me blogging has been such a blessing. I started blogging right before my mom passed away in January 2014 and of course her death left many holes in my life. One thing I missed so much about mom was talking fashion and going shopping. Whenever I told her of my plans to do something, her first question was always “what are you going to wear?” …. soon followed by “wanna go shopping? !” My blog gave my a place to share my love of style with other women who love it just as much. Following other bloggers has been such a source of inspiration for me and not just fashion inspiration. I’m following the lives of so many incredible women. Women who are fabulous, confident, and enjoying life at every age. Women who support and celebrate each other, never tear each other down. Women who fight against the rules and do their own thing. Strong, beautiful, stylish women! Question: Fill in the blank: blog visits increase when _____. Answer: To be honest, this is still a bit of a mystery to me. Being part of things like this Between the Lines series seems to attract new readers. For me the biggest factor seems to be posting consistently over time. Every year I have more visits and visitors and it always amazes me and makes me grateful too. When I first started blogging I thought only a handful of friends would ever read what I wrote. Question: Sandals or flip flops? Answer: Well, pretty sandals would be my favorite. I love sandals with a sundress or maxi skirt. But there is just something so summery about slipping on some flip flops. I think they remind me of summertime as a kid in the 70’s, wearing rubber flip flips from Thrifty, walking to 7-11 for Slurpees, playing in the streets until dark. So, I guess … both! Be sure to check out her series and met some other wonderful bloggers! And hey, don’t forget to enter my giveaway for a Karina dress of your choice! Open to international readers as well. Today is the last day, so enter NOW!! And good luck! You caught and inspired me! I've entered to win that dress! So nice to meet you between the lines! I really like the Between the Lines series. Great that you are included today! Hi Dawn! I found you through the Between the Lines Series. I have really enjoyed meeting other bloggers my own age. We are definitely some amazing women. I love your fashion choices, I'm a little bit stuck on the midlife fashion phase but I'm getting better after reading all of the over 50 fashion blogs! I was surprised to see your name in the line up because I thought you were only in your forties. But it was good to see someone I already knew in the series. Most of the ladies have been new to me. Well, I'll be 50 next week, but Katie let me squeak by. ;D I've meet some new bloggers through the series too. Thanks so much for stopping by! Muah. 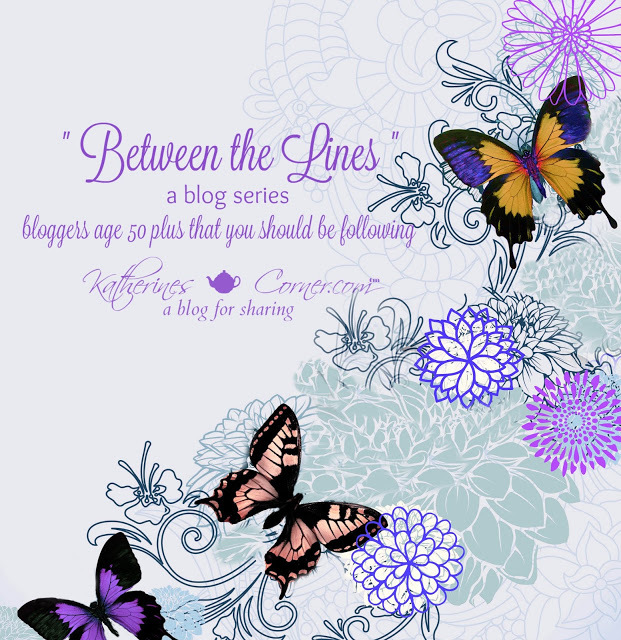 Hello Dawn, nice to meet you here in the Between The Lines series! I'm your newest follower on your social media platforms. I'm not much into fashion but I'm big time into finding other strong, confident, and vibrant women in my age group who support and offer encouragement to one another.